In life there is the ideal of two sides to a coin. In my case two sides to a story or situation. Many of our struggles have two sides. Winning or losing. One day you might have a great day and one day it feels like,the weight of the world is on top of you. They teach us to be good sports. Not to be sore losers in school. But what about in life? How do we be good losers in day to day situations? You turn on the news and you hear the things we are taking a loss on daily. Loss of life. Loss of finances. Loss of resources. Loss of relationships. Loss of hope. And everybody has a loss in their lives at some point. This world isn’t always full of kindness. When you go to work and you got looked over for that promotion. When you have a disagreement and it’s not looking good for your viewpoint. When a business deal crumbles. When you want something that you can’t have. When you have something stolen from you. 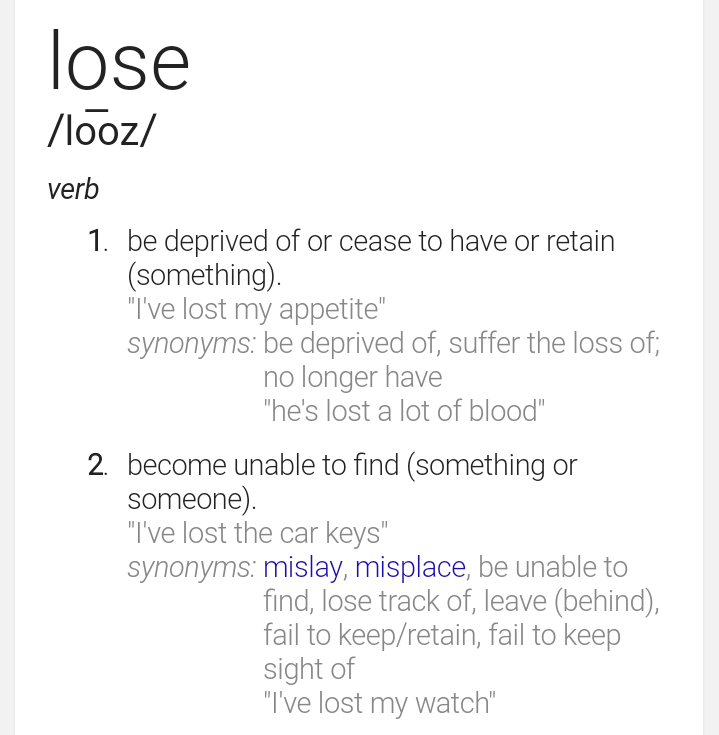 These types of loss aren’t considered things that we should be viewing as loss. These things are supposed to be glanced over and forgotten. But there are a lot of people who don’t forget. The feeling of losing is being stored up and tallied instead. The aftermath of loss could be damaging to the soul. Today I ask for peace in my losing situations. To still put a smile on my face and gratitude in my heart. To not be a sore loser, but a way maker even when I don’t see the way. The sun is always shining somewhere. And sometimes what looks like a loss may actually be a win. You really make it seem really easy together with your presentation but I find this topic to be really something that I think I’d never understand. It kind of feels too complicated and extremely large for me. I’m taking a look forward in your next submit, I’ll try to get the cling of it! I’m not sure. I have the .com version not the .org . It may be the difference.